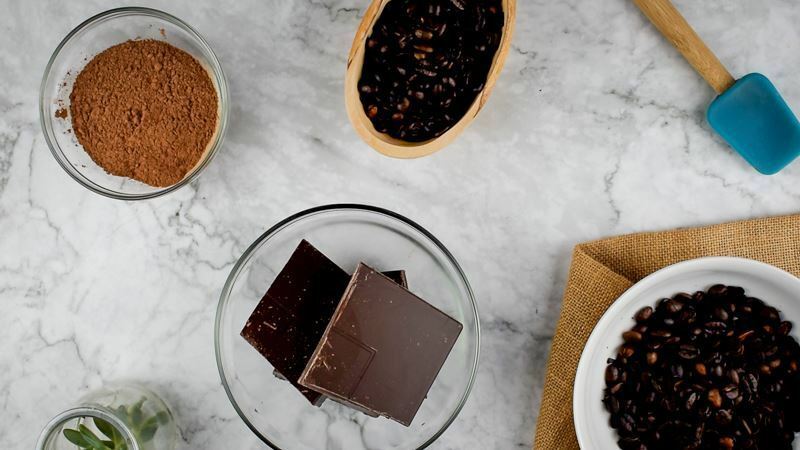 Chocolate and coffee create one of the most universally enjoyed flavor combinations in the world. Café mocha is not always convenient though. 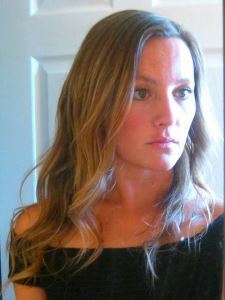 And how many times can you indulge in fudge icing cake with added espresso before your waistline or budget explodes? 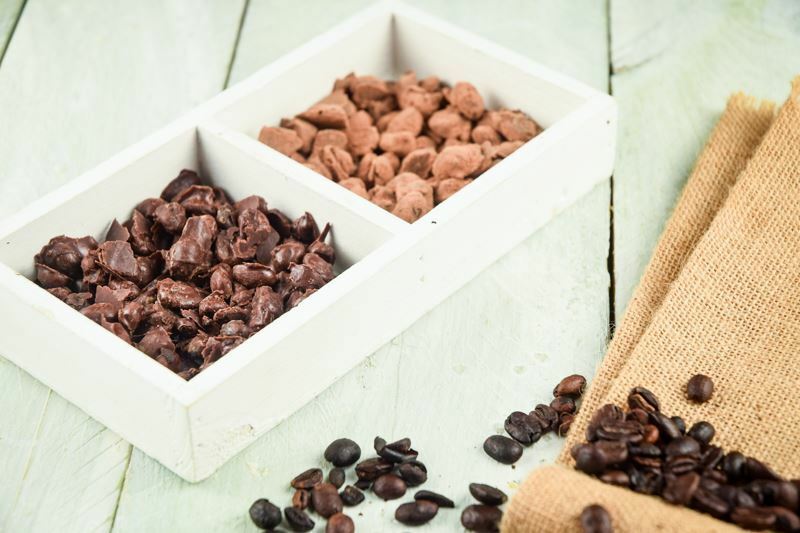 Homemade chocolate covered coffee beans are a splendidly fast and convenient way to have the best of two worlds. It is simple to make, even if you have no culinary skills. 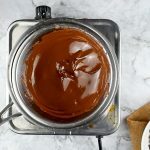 Can you melt chocolate and allow it to set? That's it besides sprinkling a bit of cocoa powder. 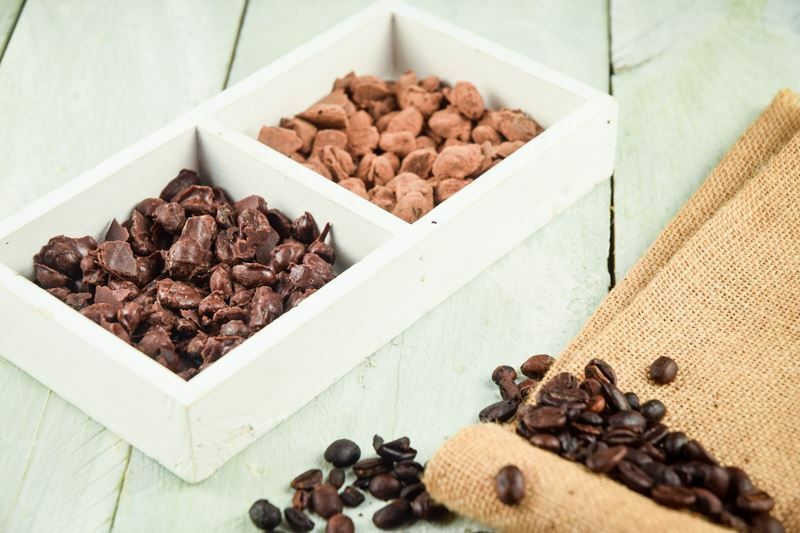 In this tutorial, we will show you step by step how to make chocolate covered coffee beans. At most the recipe requires 2.5 hours to complete, and other than 30 minutes of that time you are not even in the kitchen. 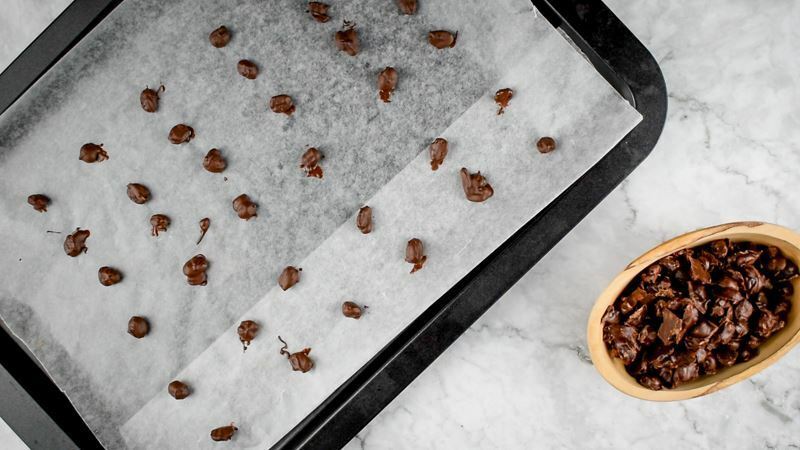 Best of all, this recipe calls for a pot, stove, wax paper, and three ingredients, and wallah! The result is a delicious tiny morsel with a small amount of caffeine. 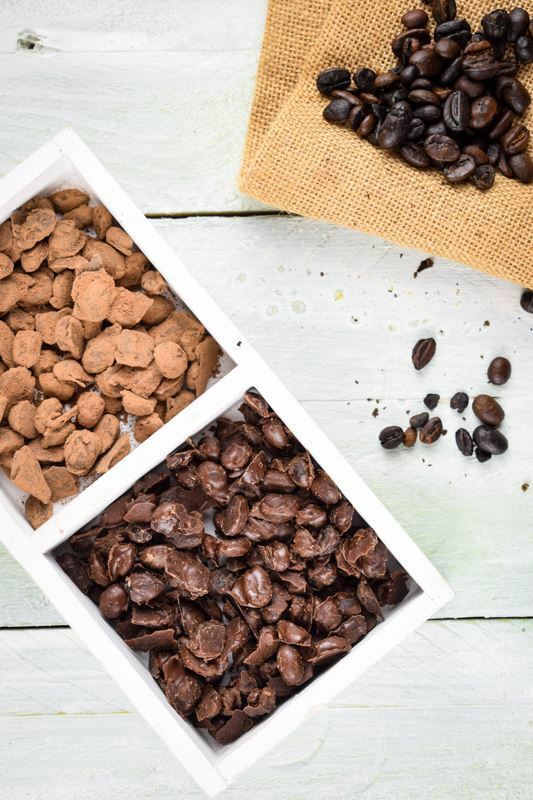 A creamy chocolate coating naturally softens the bitterness of the coffee bean. 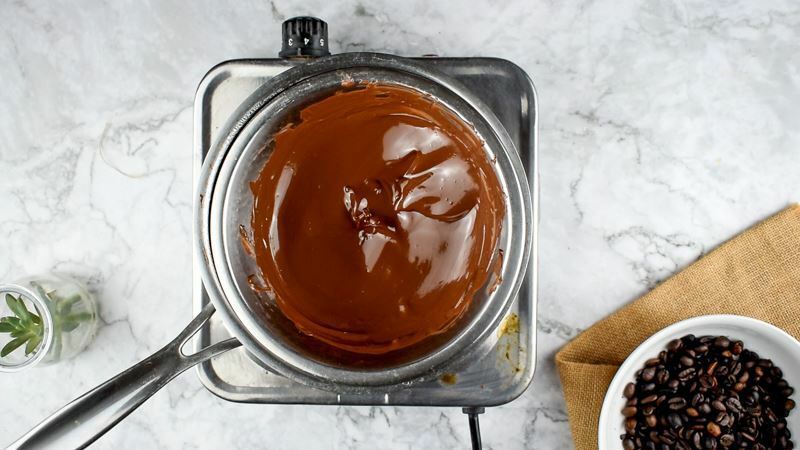 In a double boiler (or a metal bowl placed over a pot of boiling water), melt chocolate until very creamy. 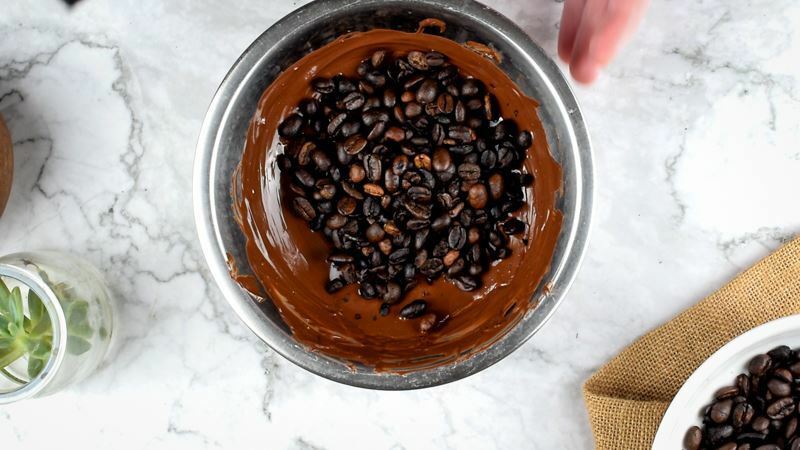 Add coffee beans and stir until completely coated. 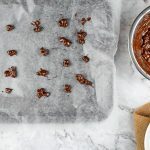 Scoop them up with a small spoon, allowing excess chocolate to drip off, and place them on a piece of waxed paper on a cookie sheet (try to place them individually, but if some stick that's not a big problem). I know this seems like it may be tedious, but it doesn't take as long as you might think, especially if you let the kids join in. 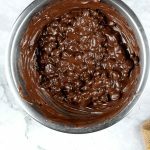 My kids loved helping me out with this recipe! COOKING TIP: Try using 2 spoons for this step; one to pick up the bean and 1 to scrape it off of the other spoon. This will save you some time. Let them cool. It will take about 1-2 hours, depending on room temperature. You could also cool them in the fridge or freezer if you are pressed for time. 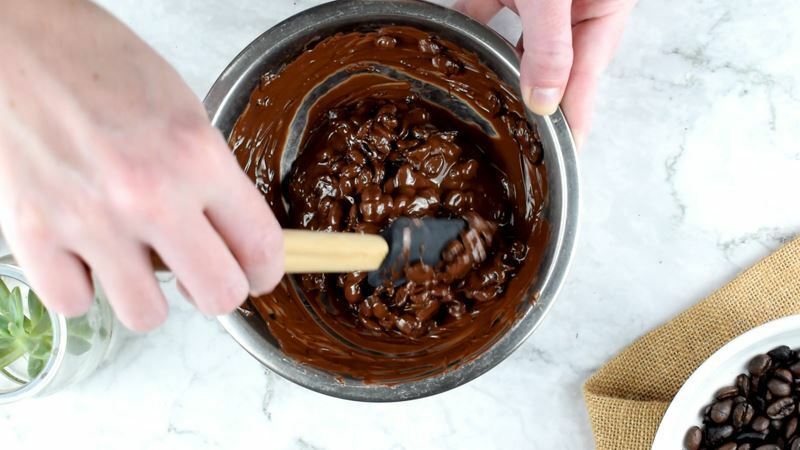 Once the chocolate is solid, break apart any big chunks. 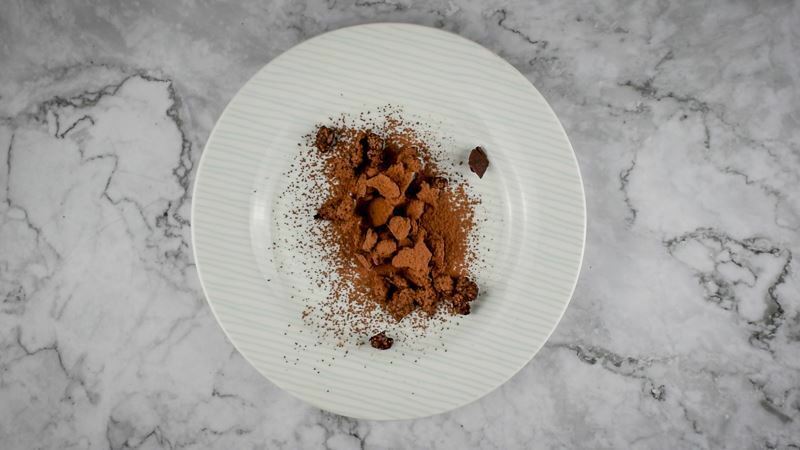 Separate half of the chocolate-covered coffee beans, and cover one part with cocoa powder. 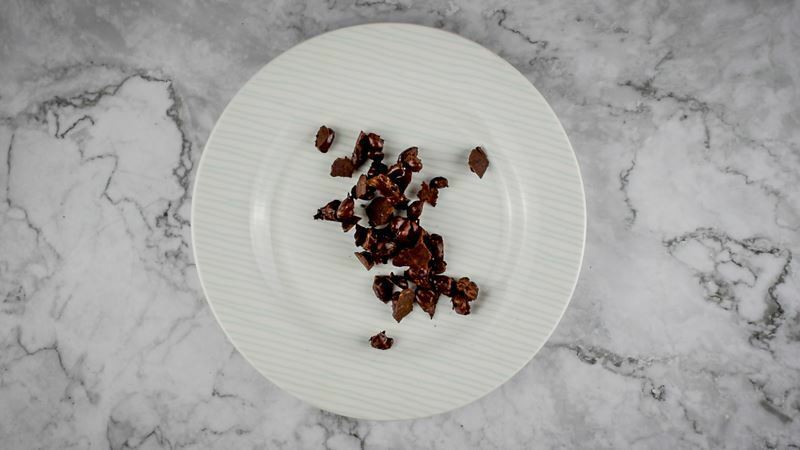 These rich, edible, chocolate-coated coffee beans look elegant enough to set in a bowl as a centerpiece for lunch or a party. One of my favorite ways to eat these is sprinkling them over ice cream! 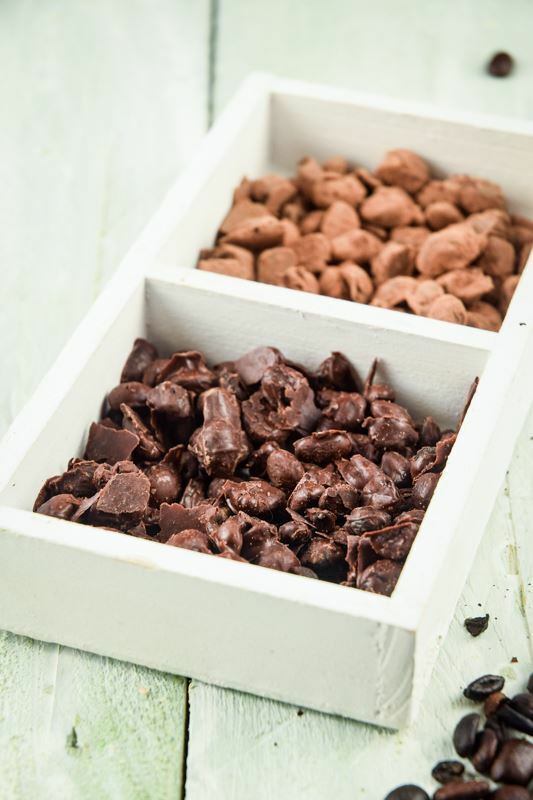 You can also keep them on hand as a snack or a pick-me-up at home. 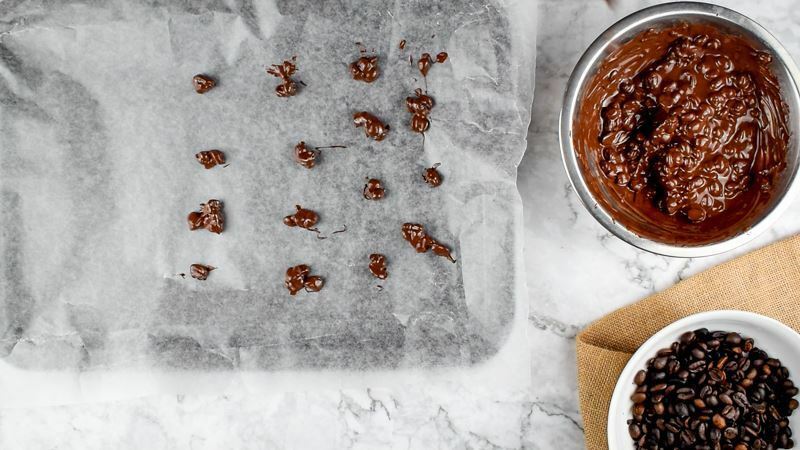 If you could keep them from melting into a gooey mess, you might take them everywhere. 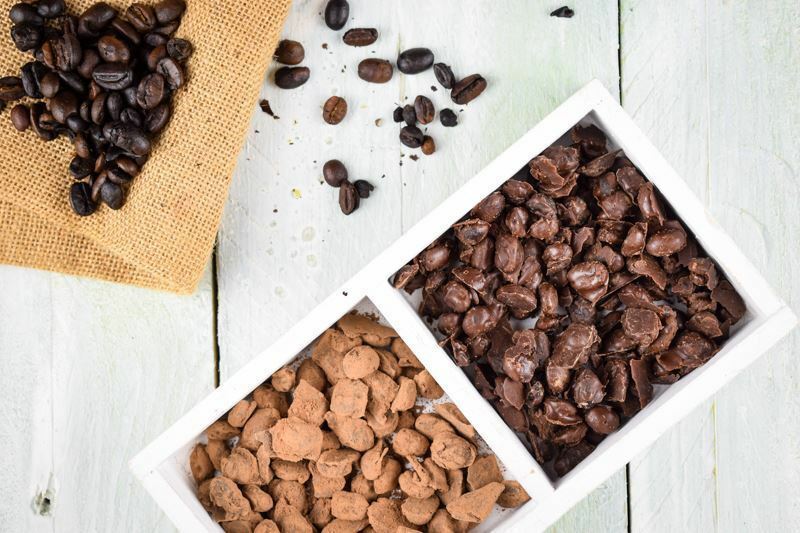 Since you do not really want to eat too many at one time (due to the caffeine content), it is ideal to keep them in an airtight container that you can slide into the refrigerator. 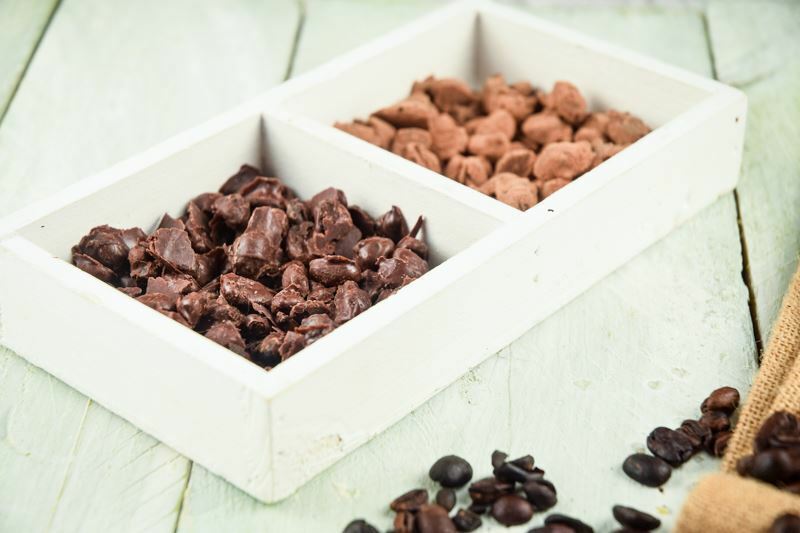 You may decide you prefer to substitute semi-sweet or milk chocolate for the dark variety or even chocolate flavored with mint, chili, etc. Some people combine one or two different types. 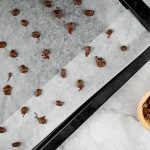 You can even experiment with different toppings like melted white chocolate, icing sugar, or ground pecans or walnuts. 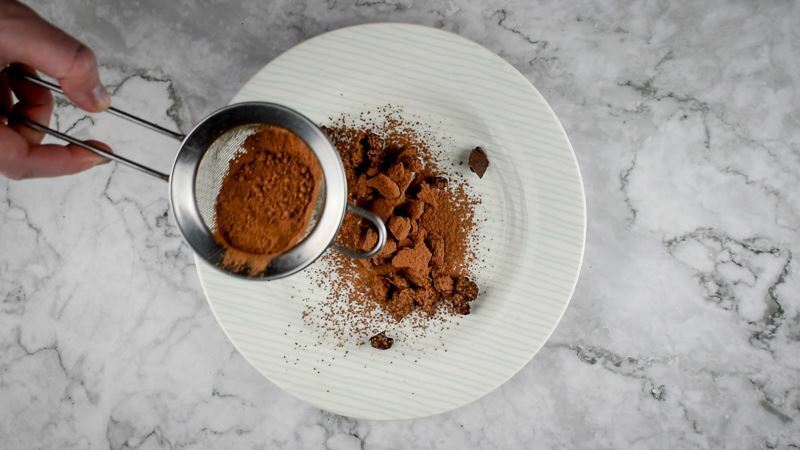 Arabic coffee beans work best for our recipe and any variations. 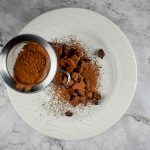 This is a great recipe to blend just enough bitter and sweet to create an alternative small dessert or a great gift. 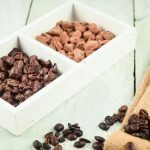 In this recipe tutorial, we will show you step by step how to make chocolate covered coffee beans. The result is a delicious tiny morsel with a small amount of caffeine. 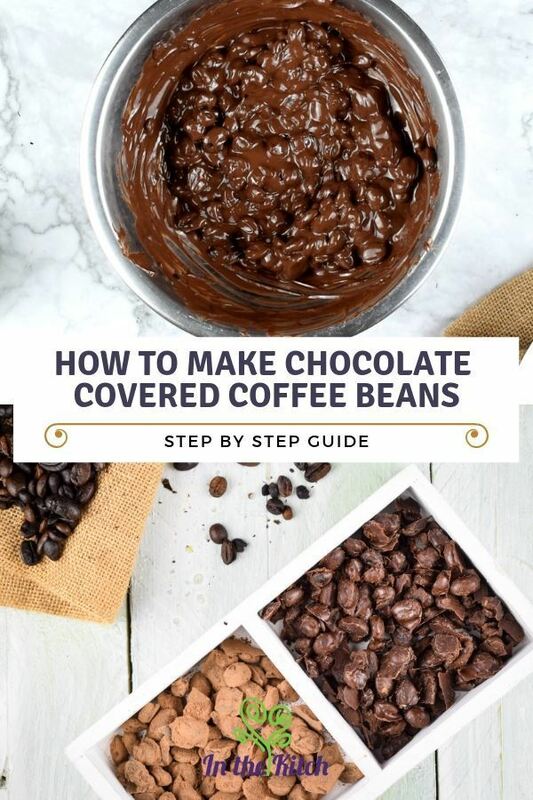 A creamy chocolate coating naturally softens the bitterness of the coffee bean. 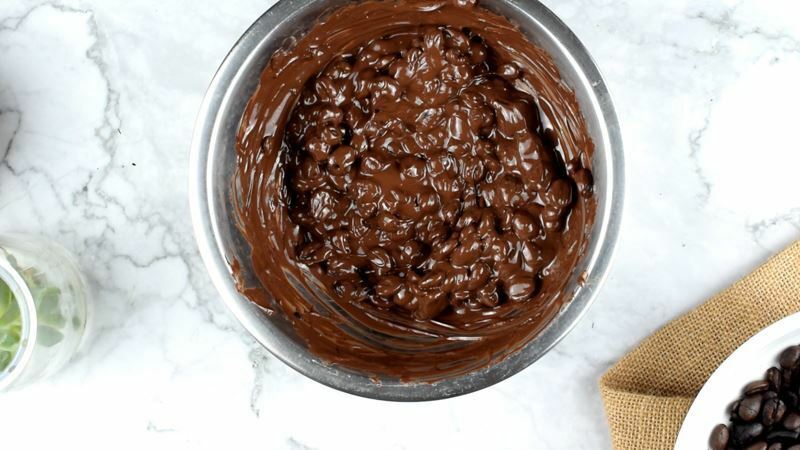 Scoop them up with a small spoon, allowing excess chocolate to drip off, and place them on waxed paper (try to place them individually, but if some stick that's not a big problem).